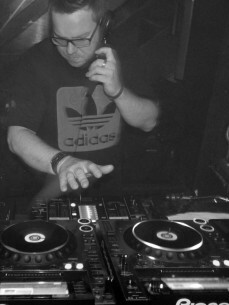 David James aka Deadly Sins has been DJ’ing & producing for over 20 years, under the guises of Mr DJ, Supakings, Alaska Soul & Audio Drive with releases &amp; remixes for labels like FFRR, Defected, Strictly Rhythm, Virgin, Sony, Positiva & Peppermint Jam. Starting his Giant Cuts label 2 years ago with many of the releases finding there way into the boxes of people like Hot Toddy, Greg Wilson, Cosmic Boogie, Rayko, Matthew Kyle, Sleazybeats, Dave Allison, 78 Edits etc. The label has gone from strength to strength and David has started Original Cuts to handle the slo-mo / beatdown soul stuff with releases from 78 Edits, Matthew Kyle & DJ Raw Sugar already in the bag. Having played all over the world including the DJ Magazine opening parties at Space Ibiza, India, Russia, Italy, Abu Dubai, Australia, Poland and guest spots in many of the UK’s biggest clubs MoS, Gatecrasher & Back 2 Basics. A Resident DJ for many years in some of London’s best venues, David has years of experience in rocking the crowd in any situation.